I should first explain who I am. If you look at the cast and crew page, you'll see I share the same last name as the editor. He's my father. I've watched this movie many times over and thought about writing a review for it at some point. I realized that now would be the best time to do that because it will be getting its first public screening in November. I can understand the assumption people will have about this review being biased, yet I feel the need to help support this movie more than any of the others worked on by my father. I'm not going to raise praise for the film, or even say that it's a must see. I want to give my interpretation, and from that, allow readers to decide for themselves if this is a piece worth seeing. In the first moments, it becomes automatically clear that this is a story about the effects of war on American soldiers. It's tied down by the life of the young man this war has so tediously hurt. One thing about wars is they always have the same tragic outcome for the people brought down by it, and then, what becomes more clear is the times the soldiers are living in, shape the way horrors make them as individuals. The current period we're living in suggest that we know more about fighting than ever before, from a historical stand point, and also a psychological one. In all the different mediums open to us ( e.g. film, theatre, books) we can imagine and emphasize all the facts and reality of humans killing each other that we want. In a sense, the artificial perspective we have of this genre can now be a tool for who ever wants to use it to their own ends. 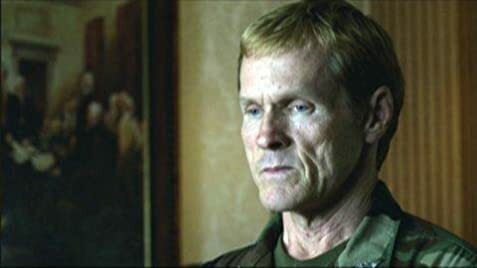 The film explores certain levels to war, but mostly the impact it has on an individual at a personal height, and from there, makes a statement of how war is viewed now. Obviously, with the introduction of art into war, the level of reality is entirely blurred. We can make recreations, and re-tellings, look, and sound believable. And that's really all it takes to get a viewer to believe what's right in front of them. It's one of the many levels of this real drama that can be blurred simply by are suspension of disbelief. Even our conscious understanding of whether to take an event as real or believable has layers to it, and even those can be mucked up by what we choose to perceive. One thing that should never be forgotten is that there's depth to everything around us, including war. If you want to get an idea of the actual story to this movie, have a look at the plot summary made by the director. After reading this, I hope you can decide whether this is a movie you want to see. 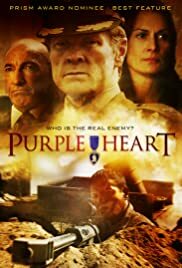 "Purple Heart" will be playing on November 11, 2006 at 3:00 pm in the Egyptian Theatre in Los Angeles, CA for the Artivist Film Festival. More information on the screening can be found at the festivals official website.